Dominic Cuskern has appeared on Broadway in Inherit the Wind starring George C. Scott. He played Labisse in the Broadway National Tour of Victor/Victoria. He created the role of Ganesha, the Hindu God, in Terence McNally’s A Perfect Ganesh which starred Zoe Caldwell. He has created a number of roles written by Terrence McNally: The Radio Announcer in Frankie and Johnny in the Claire de Lune; the Concertmaster in Prelude and Liebestod and James Burbage (among others) in And Away We Go. He has appeared regionally throughout the United States. He is President of Gallery Players in Park Slope where he is the Producing Director of Players Shakespeare. He was a member of the Resident Acting Company of The Pearl Theatre for 17 years where he played many roles such as Shylock in The Merchant of Venice and Malvolio in Twelfth Night. 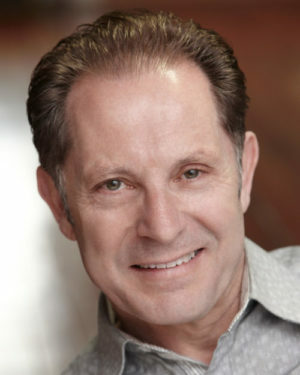 Dominic has taught with the Pearl Theatre Conservatory where he concentrated on teaching Shakespeare; both technique and scene study classes. He was also a Teaching Artist with he Pearl Theatre Company for almost twenty years working with high school students, introducing them to theatre. He has a Masters degree from Columbia University. He is also the Producing-Director of Players’ Shakespeare, part of Gallery Players in Brooklyn. There he has developed a program called “Shakespeare for Sprites” where he teaches the Bard to 1st graders at P.S. 124 in Brooklyn. The children have ten classes on stage at Gallery Players and end up performing a 15 minute version of Macbeth for family and friends. And each summer Players’ Shakespeare performs a full production of a Shakespeare play which Dominic produces.